Jerome – a reborn ghost town of laid-back artists, historic bars, bikers, and trendy wine shops – has the Arizona desert vibe. 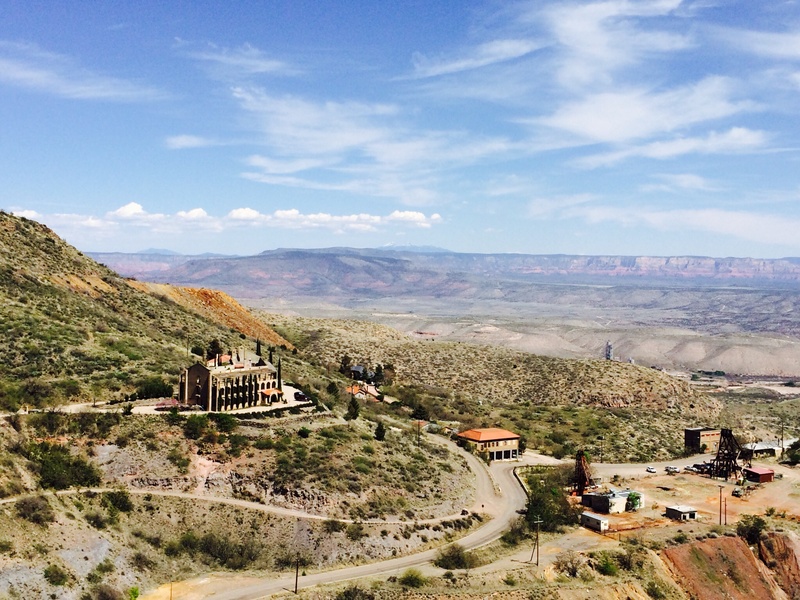 Perched on a barren mountainside, Jerome looks out over Arizona’s endless Verde Valley, which for much of the year is “verde” in name only. 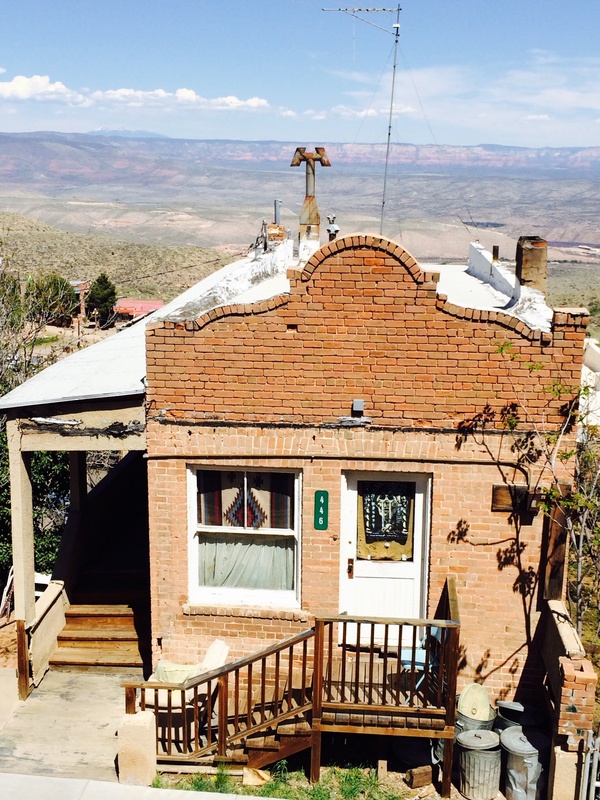 Red rocks, scrubby cactus, and crumbling old buildings in various states of repair are the views that greet the Arizona tourists who flock to Jerome on the weekends. 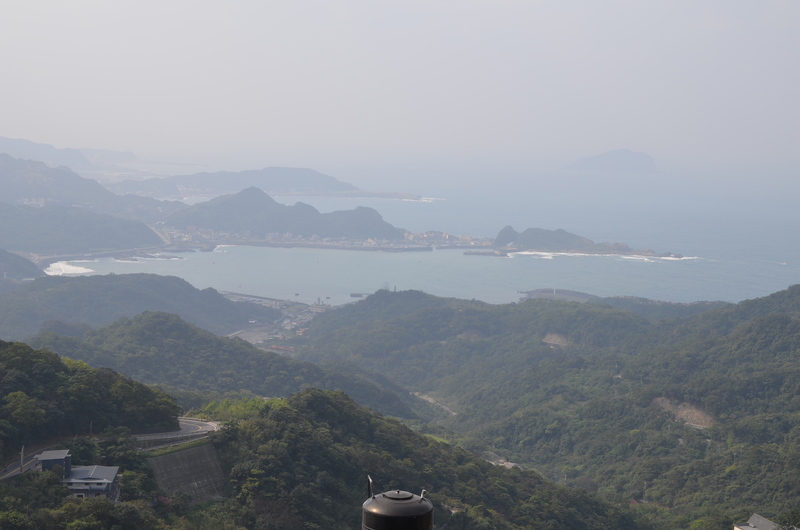 The cliffs of Jiufen, on the other hand, overlook the East China Sea, and afford sweeping views of blue ocean, thick foliage, and distant islands. 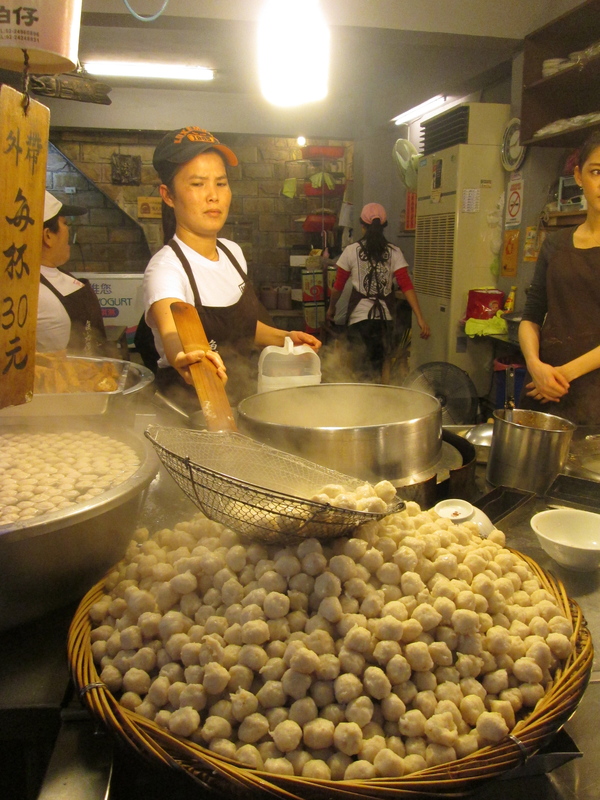 And while Jerome’s steep streets switchback up the side of the mountain, under the hot Arizona sun, Jiufen’s famed pathways meander through narrow alleyways and dark side streets, bordered by a huge array of art shops, tea houses, and food booths. 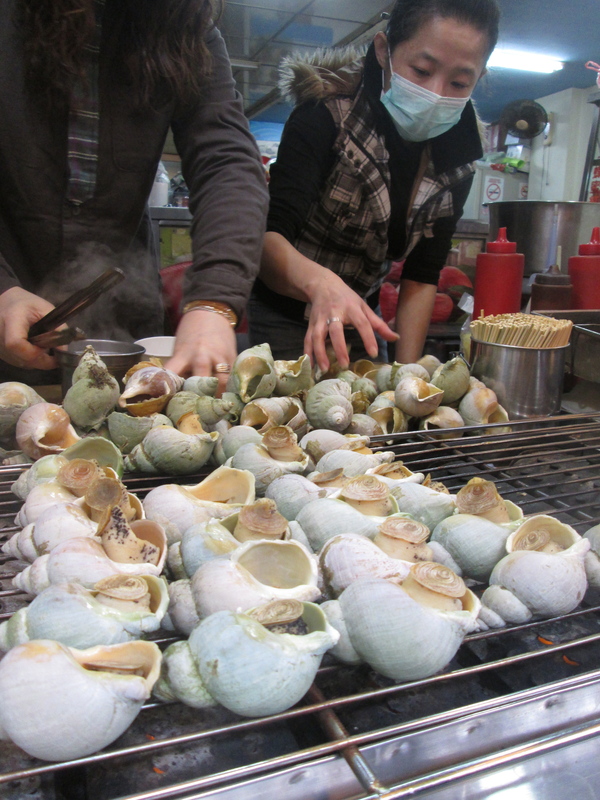 The variety of offerings is dizzying: grilled white-shelled snails in one booth; meaty mushrooms in another; tea of all imaginable flavors; huge vats of fish balls; kegs of kumquat juice; hand-crafted leather coin purses in the shape of animals; Hello Kitty hand mirrors. It’s impossible to take it all in. And around every corner, it seems, is another glimpse of the misty coastline. 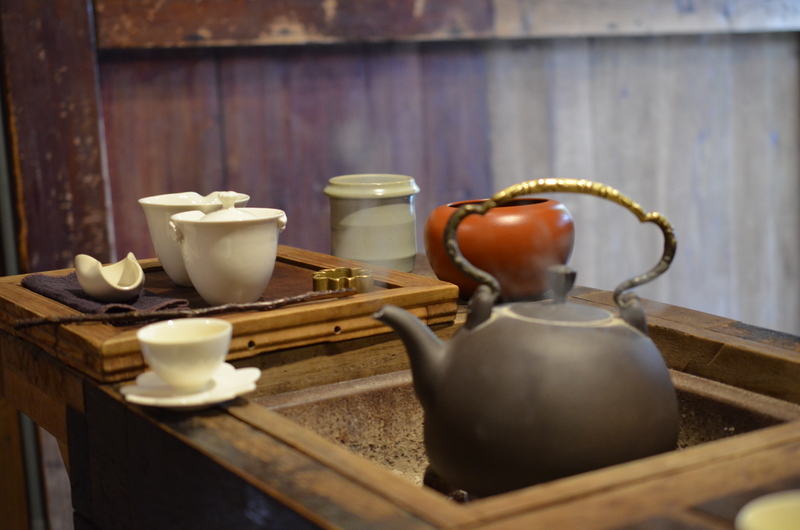 To offset the hectic pace on Jiufen’s alleyways, we stopped by the Jiofen Teahouse and Art Gallery, where we sat on cushions and watched our server go through the traditional motions of brewing the aromatic tea. A relaxing interlude after the crush of tourists! 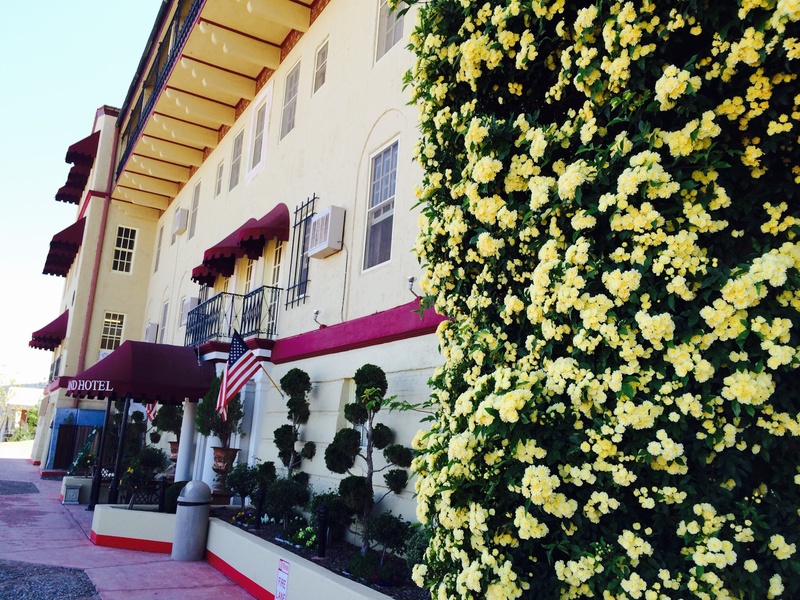 I still love to visit Jerome and take in the old hospital that’s been renovated as a hotel and restaurant (the Jerome Grand Hotel and Asylum Restaurant), or gaze out at the valley below from the patio of the venerable Haunted Hamburger restaurant. But I don’t think I will ever visit Jerome again without thinking of that other mining town on the other side of the globe, where grilled snails, kumquat juice, and hot, strong tea take the place of green-chili burgers and beer. Both awesome in their own right!